In his twisty, gritty, profoundly moving New York Times bestselling-debut also called mandatory reading and selected as an Editors' Choice by the New York Times Adam Silvera brings to life a charged, dangerous near-future summer in the Bronx. In the months after his father's suicide, it's been tough for sixteen-year-old Aaron Soto to find happiness again but he's still gunning for it. With the support of his girlfriend Genevieve and his overworked mom, he's slowly remembering what that might feel like. But grief and the smile-shaped scar on his wrist prevent him from forgetting completely. Silvera managed to leave me smiling after totally breaking my heart. Unforgettable. Adam Silvera was born and raised in the Bronx. He has worked in the publishing industry as a children s bookseller, marketing assistant at a literary development company, and book reviewer of children s and young adult novels. 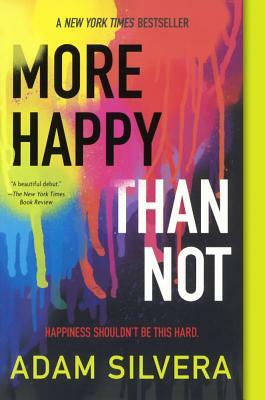 His debut novel, More Happy Than Not, received multiple starred reviews and is a New York Times bestseller, and Adam was selected as a Publishers Weekly Flying Start. He writes full-time in New York City and is tall for no reason. From the Hardcover edition."